Quick Summary: This lesson incorporates clips from Blue The Film as learning inspiration. 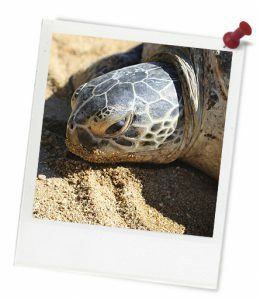 In this lesson students will watch video footage of marine turtles in their natural environment then consider the devices that are used to appeal to audiences. Students will evaluate the effect of these choices on audience understanding about marine turtles, plastic pollution and marine health. Students will understand how audiences are engaged through audio-visual devices to think, feel or do certain things in relation these issues. Students will understand how language can be used in persuasive ways by appealing to audiences’ emotions and shared experience or understanding about issues. Students will understand how significant issues such as ocean change are communicated using language and content that draws from personal and collective experience. Relevant parts of Year 9 English achievement standards: Students analyse and explain how images, vocabulary choices and language features distinguish the work of individual authors. They select evidence from texts to analyse and explain how language choices and conventions are used to influence an audience. Students listen for ways texts position an audience. Students understand how to use a variety of language features to create different levels of meaning. Unit of work: Blue The Film – English – Year 9&10. Resources required: Student Worksheet – one per student. Device capable of presenting a website to the class. 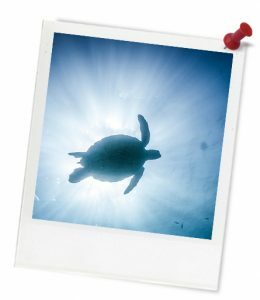 Turtles and Plastics Stimulus Images, Ghost Nets Factsheet. Keywords: Blue The Film, ocean conservation, marine ecosystems and wildlife, marine turtles, audience appeals, emotions, imagery, language choices, persuasion, rhetoric. Learning intentions: Students will understand how language can be used in persuasive ways by appealing to audiences’ emotions and shared experience or understanding about issues. Students will understand how significant issues such as ocean change are communicated using language and content that draws from personal and collective experience. Students can identify significant language choices and evaluate how they impact upon the audience. Thought starter: How can marine turtles appeal to our emotions? A 'See-Think-Wonder' visible thinking routine can help you to make observations and interpretations about what you see and can help you establish goals for further learning. Watch the clip below and view the the images on the Turtles and Plastics Stimulus Images, then complete the 'See-Think-Wonder' routine. What emotions or feelings did the image, audio or narration seem to appeal to?